Thinking of upgrading to the new consoles? We can help you find the right TV. With games like Horizon: Zero Dawn, The Witcher 3: Wild Hunt and Rise of the Tomb Raider among those titles that make 4K gaming a very real, very pretty reality, you may have begun considering getting one of these fancy 4K TVs to use in your own home. Especially if you want to make the most of your PS4 Pro or Xbox One S consoles, both of which boast 4K capabilities. Even now, it’s clear to see that 4K is the way technology will be going for a good few years to come, and will soon become the standard. Sure, your fancy 1080p HDTV was top of the range when you picked it up roughly a decade ago but technology, especially the tech inside high-end TV sets, advances at such a blistering pace, it’s hard to stay relevant for more than a year. If you’re lucky, you’ll get a handful of years out of your television before some company comes along with the next big thing. Once HD had hit the scene, Smart TVs soon followed. Then, 3D made itself known after which Curved TVs were the new ‘in thing’. Nowadays 4K and HDR is the duo you’ll need to look out for when buying a new TV. If you’re on the hunt for a new TV, you may own a PS4 Pro, Xbox One S or be planning to pick up at least one of them. In which case, you’ll be wanting a TV that is as good for gaming as it is for movie-watching. 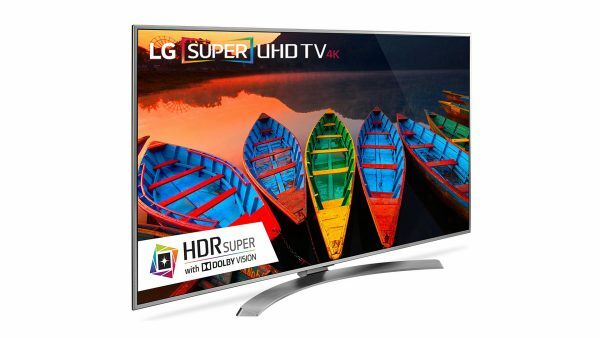 4K as a resolution (sometimes referred to as UHD or ‘Ultra High Definition’) improves upon 1080p by increasing the number of pixels the screen uses to display an image. The more pixels, the clearer and more detailed an image can be. With gaming, you’ll need to make sure you get a set with low image latency and a quick response time in order to make sure you don’t feel a huge delay between pushing a button and seeing an action appear onscreen. While 4K TVs were impossibly expensive just a handful of years ago, prices have come down far enough to be affordable for most homes in just the last twelve months or so. Prices will undoubtedly keep falling in the near future too, as 4K becomes the new standard for televisions going forward. If you happen to pick up a discontinued model – especially a curved TV, as these aren’t made as often now – you could just snap up a bargain, as well. 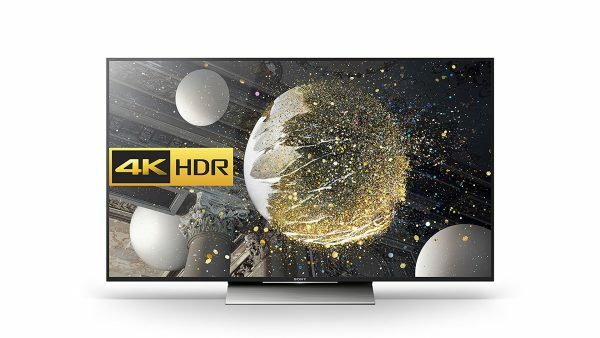 4K TVs are available with and without HDR but in order to take full advantage of a PS4 Pro, you’re going to want that HDR (high-dynamic range) as well. While a 4K picture will be a huge improvement over 1080p, HDR vastly improves image quality by expanding colour dimensions and depth, creating truly vivid images when games and movies take advantage of the tech. If you’re looking to take things up a notch, we can talk about OLED. The technology, which stands for Organic Light-Emitting Diodes) has been available for a while but for most, it’s prohibitively expensive. OLED sets have seen some decent discounts over the last few months but don’t expect to pick one of these up in a clearance sale anytime soon. OLED, along with the vastly underused DolbyVision tech, promise increasingly better image quality as the technology gets perfected over time. In every possible way, an OLED set is the best image quality you can currently get on the consumer market at the moment though they tend to price themselves out of most people’s choices. So what is it you’ll need to look out for when shopping for a 4K TV as an owner of a PS4 Pro or Xbox One S? Well, it’s easy to break it down into a few categories. Resolution: If you have one of the aforementioned consoles, you’ll want a TV that is at least a 4K (UHD) resolution at up to 60Hz. HDR10: High Dynamic Range (known as HDR or HDR10) is a must-have when buying a 4K television. Not only will you get a vastly deeper colour scheme and improved image quality but you’ll be future-proofing your purchase for many years to come. Input Lag: As a video game player, low input lag is a must. You’re going to want something under 40ms if possible, or as close to that as you can get. Colour space and brightness: Wide colour gamut (WCG colour space) BT.2020 processing and the highest possible brightness (1000 Nits or better) are essential to make sure that the HDR tech is operating at its fullest. Screen size and shape: This is something of a must to have in mind when shopping for any new TV, 4K or not. Consider what you will ideally want out a new television. How much space do you have in your home for a new screen? Does a curved screen suit you better than a standard flat set? Budget will come into play here as well as living space but to be able to use 4K in any real capacity, you’re going to need a TV of at least 45 inches big. Anything less than that and 4K doesn’t really get a chance to kick in. Officially, a 60-inch screen is recommended for PS4 Pro and Xbox One S consoles but you’ll do just fine with a 55-inch in a pinch. Manufacturers: Here it is, the big question. Often times, big electronics purchases come down to buying a brand name that you’re previously aware of. That being said, it’s not the defining quality of any one TV set. Each manufacturer has its pros and cons and no two companies will make TVs the same. Even still, the three biggest competitors in this field – Sony, Samsung and LG – largely dominate the field by outclassing the vast majority of other TVs. 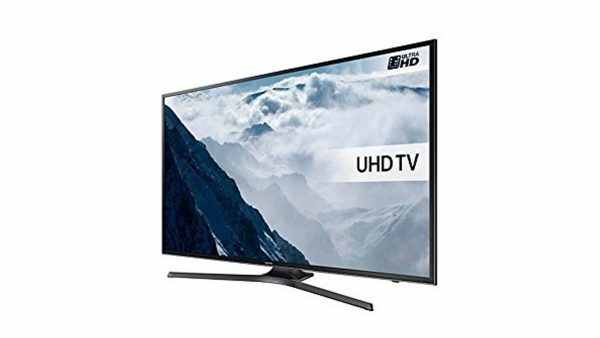 That’s not to say that companies like Panasonic and Philips don’t have quality televisions on the market, they do, but when it comes to pure picture quality, the big three can’t be beaten. If you want the best, you’re going to want an OLED TV but no one in the world can blame you for not being able to afford one of these luxury sets. Whether or not you’ll be aiming to get one of these will depend entirely on your budget and with so many high-quality LCD sets out there, it may be an easier choice than you think. Nonetheless, here are our top picks for the best TV for PS4 Pro, Xbox One S and 4K gaming. Well, here it is. The best of the best. LG’s range of OLED TVs is second-to-none when it comes to picture quality. There’s no two ways about it, the pairing of 4K resolution, HDR, DolbyVision and an OLED screen make this the quite realistically the best television you can currently buy in terms of picture quality. On top of incomprehensibly good image integrity, this set is a mere 2.7mm thin, making it one of the most attractive sets we’ve seen. Every luxury can be found in this set, including a rather beautiful 36.8ms input lag and a shockingly good onboard sound system. This model is eyebrow-raisingly expensive in either 55-inch or 65-inch models but if you have the budget or are willing to save your money for a long while, this is as good as it gets. If your budget isn’t quite expansive enough to allow for an OLED set, LG still has you covered when it comes to high-end LCD screens. The 7700 series of 4K TVs offers crystal clear picture quality with an IPS 4K Quantum Display integrating a 10-bit panel generating a billion colours at any one time. Ultra Luminance is the name of the tech that allows for brighter whites and deep, dark blacks depending on what you’re watching or playing. Also included here is HDR10 capabilities and DolbyVision, so you’ll be properly future proofed for a good few years if you hang onto this set. Available in anything from 49-inch to 65-inch sizes, the 7700 LG series of 4K TVs is absolutely stellar and is about the best you can get without opting for an OLED screen. It’s not quite there but it comes pretty close. Samsung takes pride of place in the mid-range of our list, filling out the middle section proudly with its 6000 and 6100 series TVs available in flat or curved models. Both editions of the set offer a beautiful, clear image quality with 4K resolution, HDR10 as well as quad core processing for quick, efficient multitasking between menus and channels. 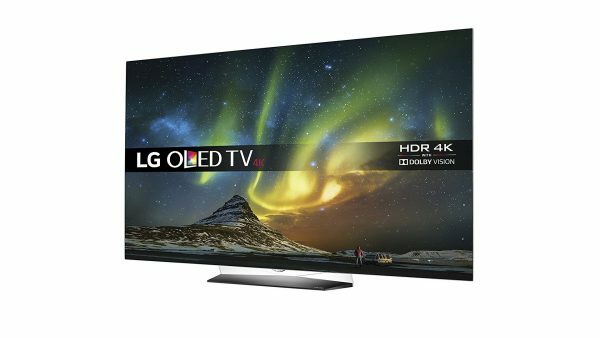 Where the Samsung 6 series really excels is in the price point, it’s not all that far off of its higher-end equivalent from LG but it comes at a much reduced price point depending on size, making it extremely attractive to gamers who’s budgets have had to have been split between buying a console and a 4K TV. In terms of value propositions, it’s hard to knock the Samsung 6 series as it walks the line between affordability and overall quality quite beautifully. Now, just because it’s the cheapest TV on this list does not mean it’s the worst. As a matter of fact, any and all of the TVs in this post offer beautifully clear, high-quality images and some above average performance at minimum. That being said, if you happen to have a lower budget than any of the above televisions allow but don’t want to compromise on quality, the Sony KD8088 series may be your best bet. Featuring full 4K resolution along with HDR10 and an excellent input lag of 33ms, it’s an ideal set for gaming as well as casual TV or movie watching. It won’t set the world on fire or drop any jaws when it comes to setting itself apart from the competition but it does the job required of it rather beautifully and is about as fully-featured as you can ask for out of a set in this price range. In short, if you need a 4K television without breaking the bank, this model will serve you well for at least the next few years. So there you have it, those are our top picks for the absolute best TVs for 4K gaming, the best TVs for PS4 Pro and Xbox One S in particular. Have we missed any that you think we should have included? Be sure to let us know! Happy shopping out there.